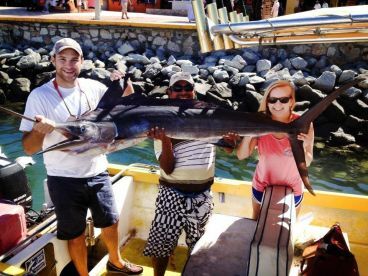 Roosterfish fishing in Cabo San Lucas varies moderately throughout the year. High season is May to August. Low season is September to October. There is no closed season. "PM trip on Crazy Tuna"
Trip started with some confusion on where to meet but that was sorted out at their kiosk and we headed out without delay. 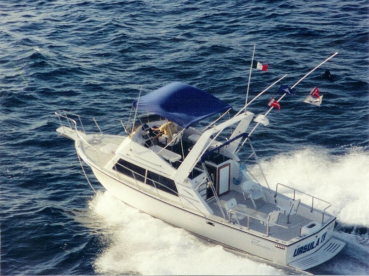 Captain was not the one pictured regardless he was a fine captain and experienced fisherman. I told him I came for roosterfish and we immediately hooked up on one. Later we tried for marlin and had a hit but no hook up. 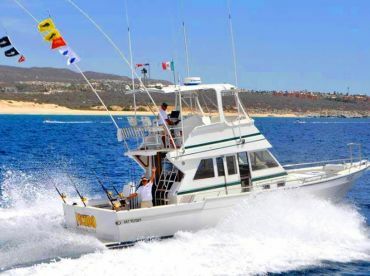 It was a great experience panga fishing! 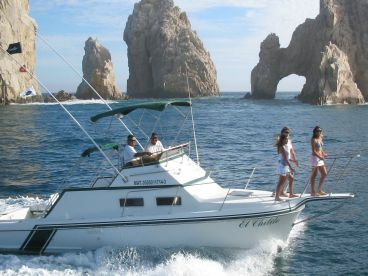 "Full day with Captain Manuel"
I would book this same charter again. Captain knew where and how to get fish. They were friendly and the Captain spoke English. 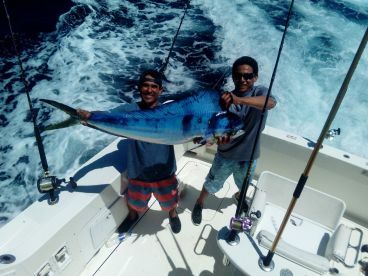 Caught a reasonably sized Tuna and several Dorado. Also fished for Roosterfish with live bait, but no bites. "A Fun Trip With a Great Crew!!" The trip was fun. We stayed mostly in the bay. Caught some Roosterfish and Skipjacks. We were fortunate enough to see a whale, even this late in the season. Captain Ronnie was really great.